At the end of the day, books are probably one of the most effective sources for new information and knowledge sharing. They allow for a more thorough explanation of new skills rather than the short articles and videos that exist online. Thousands of business books are published every year and to be honest, its really difficult to sift through all of the mess. I've compiled a list of Marketing books that I have read over the last year and shortlisted 5 of my favorite. Note that these are not necessarily published in 2014. Written by Social Media Marketing evangelist Gary Vaynerchuk, this marketing book is one that is a must have for all social media marketers. Gary combines his incredible success with his own family business, Wine Library, and the hands on experience with his media agency, VaynerMedia to create a complete social media tutorial. No social media is spared as he takes you through all the large social media platforms. Inserted are specific steps and examples that puts everything into perspective. The cherry on top is the aesthetically pleasing photos and color he uses throughout he text. It feels less like a textbook and more like a magazine! We live in a world of data now. Avinash Kaushik's book Web Analytics 2.0 is a refreshing read that presents complex theories in simple easy steps that will make you wonder how you didn't understand any of this. No matter which Web analytics tool you use, Avinash probably knows it better than you! Utilizing a language that mere mortals like you and me will understand, Avinash doesn't delve into the jargon. The book reads as a professional conversation, one that respects both sides and the common goal. With examples and multiple supplemental chapters, this book puts you the fast track to analytics success! Made to Stick is a personal favorite of mine. Every chapter completely changes how you approach the simplest marketing messages you send. By following a simple acronym SUCCESs, these brothers add a Gladwell-esque type of analysis into every message that your business sends out. This marketing book is definitely one that requires more than one read and it will offer a complete overhaul in the ways you develop what you know about marketing. They back up their theories with relevant anecdotes and eye opening research. I recommend this to anyone who would like to really work on the way they craft and write their marketing message. Despite the cheesy cover, this book was one of the most thorough books I've read. Providing calendars, corporate case studies, and team dynamics that support a successful Content Marketing team, Joe Pulizzi lays out a step by step plan on how to get it done. Pulizzi brings a view of Content Marketing that plunges you out of the blubbery abstract discussions of Content Marketing and into a tangible, solid concept. With a transparent intent, Pulizzi holds nothing back. Once finished with this marketing book you will feel like you experienced the life of Content Marketing and now understand its complete history! This list makes up my favorite reads of the year 2014 and I highly recommend any of these books to anyone who wants to really understand the field of marketing. Trust me, get one of these books and you will find yourself bubbling with new ideas! Please comment below if I didn't include a book that you loved because I am a proud Barnes and Nobles member and I love increasing my personal library! Today the craze is about finding your niche and optimizing your niche. With internet it's possible and probably the best strategy to market small rather than big. I don't think enough conversation is discussed when it comes to retaining this niche. So today I've decided to take a look at how to properly market and retain your niche so that hopefully they become fanatical fans. I've decided to pick a show that I was once insanely crazy for, hoping one day that there would be six seasons and a movie. This show pretty much built my high school days and was probably my first love when it came to TV shows. If you couldn't guess by the little hint I dropped earlier, the show I am talking about is NBC's, or I think now Yahoo's, sit com, Community. Quick note, sadly I am not an avid fan or viewer of the show anymore. After about halfway through the fourth season I stopped watching. I felt like the show's direction moved on from what I was looking for. I'm not hating, just acknowledging the show went in a different direction. However, I think this makes it even more perfect for the case study. I'm far enough removed from my insane loyalty to the show that I can now look back and do a partially unbiased look. 1. The Pilot provided great laughs, a good product, and a promise for more fun to come! This one is pretty simple. Create a good product for the first impression. I'll come back for more later. 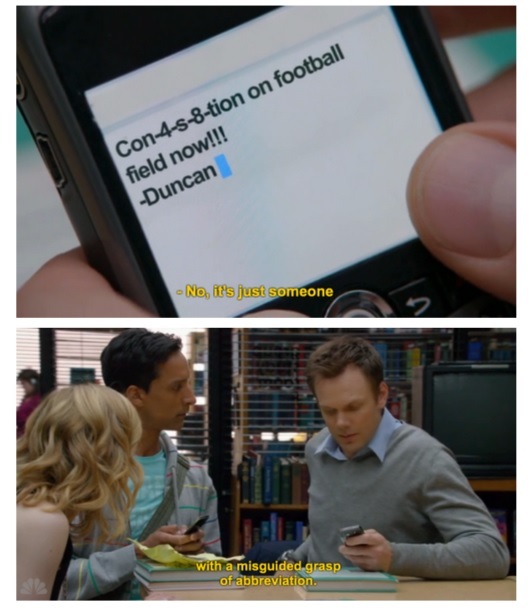 Community was a highly niche, specific show. The whole premise of the show revolved around satire, comedy and pop culture references. If you didn't enjoy quit wit or subtle humor, you had a hard time following the show. Jokes were poignant and required background knowledge of other TV shows and the nation's current political and social environment. The show was geared more toward younger informed millennials in the upper teens to early 30's, where people had enough experience watching other TV shows, but were still young enough to be a part of mainstream culture. Sexual acts were made, racist topics were joked about, yet the show never had to worry because it resonated with the audience. Community knew who they were targeting and did not bother trying to please everyone. 3. Start Creating an Emotional Connection between your Customer and the Product. If you have a good product the only thing keeping your customer coming back is that good product. However, if any inconvenience occurs or there is a change in their life, it's quite possible your product will be lost because it might be a hassle to still interact. If you can make an emotional connection, where the customer starts to feel like they have a relationship with the product they will be more reluctant to leave. For example, in high school whenever I had a test, which was quite often, I made sure I knew that there was a way I could watch the show the day after. (Hulu!) Fridays became my Community day even though the show aired Thursdays. Why did I go out of my way to keep up? Because I felt the connection with the characters and the show. 4. Listen and Interact with your Audience. Community is by far one of the most successful shows at accomplishing this. After about half of the first season ended for Community, a fan created the following video. It featured clips, with Sara Bareilles's Gravity as the theme music, portraying a love between two characters who so far had NO signs of romance or love. After this video came back. Dan Harmon, director of the show, created an episode that featured the same songs and format of the video into the actual show. Note the same music, the same style of clips. When this episode aired, community fans raved and fell deeper in love. The show's director paid actual homage to this original fan made video and even made the two characters fall into a romance! This was just one of many things that Community noticed from their fans and incorporated into the show. 5. Inside Jokes, Create Features or Aspects that Die Hard Fans can share and create a community around. This goes hand in hand with the prior section. After an episode where Abed, the aspergers' afflicted son of a falafel cook falls in love with a show, he screams "Six Seasons and A Movie!" declaring his faith in his new favorite t.v show. After the episode aired, fans started to tweet and hashtag that saying. Summarily Community started featuring it in the show. Those who were die hard fans took notice and loved the continual inside jokes as the show continued to play more and more on these quips. There are PLENTY of instances where this occurs and just watch past the first season and you will see the multitude of references. Community did a great job of bringing it's community a step closer by having awesome promotional items. All items were props you could see on the show. Having these items allowed fans to feel that much closer and proclaim their love for their tv show. I do want to note that most TV shows create swag, however, where Community excelled was that many of their swag was built off of inside jokes and things that their community, no pun intended, seemed to talk about the most. Note: I have that cup above. I Love it! Community may not be considered the greatest show ever nor will it attain the popularity it once had, but one thing is for certain. 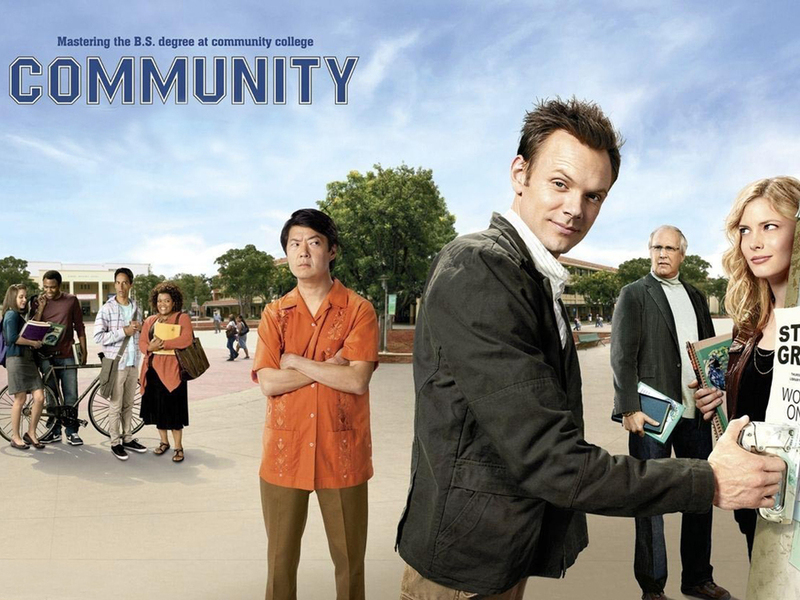 Community had one of the strongest and most fanatical following of any T.V show. Their following continually petitions and fights for the show to find a place to broadcast. So though I'm not a die hard any more, the show will forever have a place in my heart and I continually use it as a guide for when I create marketing campaigns for clients. This summer I devoted myself to honing my skills and learning the vast unknown of marketing. I decided to not pursue any internships or jobs. I thought it more beneficial to learn marketing by studying and applying what I learned on my own. It was a gamble and a little hard, especially when all my peers went off to their internships or jobs with Google, Deloitte, EY, and other big companies. It has been almost 2 months and the following documents what I have learned during that time. This is made especially for those who are just entering into the world of marketing and don’t really know what is going on. 1. Social Media can be all the schooling you need. I use to think that in the online sphere, there was only so much you could learn. Why would anyone teach other people how to do their job? I figured out during finals week of the Spring semester that I was completely wrong. When it came to study for my Market Research class, I found myself a little screwed. We had no textbook and also a complicated software, SPSS, that we were going to be tested on. Beyond the software intricacies, there were algorithms, formulas, and processes that you had to understand in order to properly manipulate the data. Of course, like any college student, I could not for the life of me remember anything the professor talked about all semester. Thus I decided to see if YouTube might have any videos. I was happily surprised. There were hundreds! Within 3 days I learned more than we did in the entire semester and when the final came around I was good to go. After this experience, I told myself, if there were videos online teaching topics even about high powered, expensive software then I definitely can expand my knowledge of marketing on my own. So for the last two months, with the help of Twitter, YouTube, and tons of books I have exponentially grown my comfort ability and confidence in Marketing. If you want any recommendations for people to follow, message me and I can give you a list. I am a huge basketball junkie. I watch, play, read, and train basketball. So for this section I am going to use Basketball as a comparison. Throughout my educational career, especially my college years, my peers have continually explained to me it is pointless to know everything, just know one thing. With that being said, I disagree with that statement. Marketing is a vast network of many trades that are extremely different and intricate. There is the coding side of Web Design and SEO, the analytics side of Market Research, and creative side of Campaign Creation. However, they are not so different that they should be taken in isolation. [Here is where the basketball analogy starts] There is a saying in the NBA, that the minimum to get into the NBA is to be a shooter. Every team needs a shooter. I thought about that statement and I've realized that it holds true if you want to reach the bare minimum. If your a shooter, you have to rely on other players to get you open, to get you the ball, to get the rebound, and to play defense. If all you can do is shoot, pretty much you won’t be playing much. The best players and even just the role players have AT LEAST 2 — 3 skills. That being said though, what you will be happy to know, once you learn more and more of the different areas of marketing, it becomes easier and easier to learn. Everything is so interrelated that the time it takes to grasp concepts is much quicker. Content Marketing is a concept that really is not new, it just finally has a term associated with it. Content Marketing is essentially publishing and marketing information, facts, stories, and anything people generally find interesting. Every business does it, but how effective a certain business varies widely. My favorite example, is the LEGO Company. LEGO’s lost their patent in the late 80's and yet many companies have tried to jump in on the success of these building blocks, but none have really gained any ground. Why is this? The reason is because LEGOs does an amazing job with its content marketing. Each LEGO set has a story, a contextual connection with other LEGO sets. The company enhances the experience by immersing the user with the exciting content that is associated with it’s products. This includes the LEGO movie, Star Wars and other partnerships, and the overall theme that each LEGO is made in conjunction with. This is where many businesses go wrong. They feel that Social Media is the future and though it does have a lot of upside, if you don’t properly create a content strategy, you might as well ditch the Facebook/Social Media strategy. Businesses must first create interesting content that pertains to their business, THEN they can start posting. Social Media is simply a channel, Content Marketing is the actual message. Make sure you have your message before you start talking. If you want to know more about Content Marketing, I recommend looking up CopyBlogger, NewsCred, and to buy the book Epic Content Marketing by Joe Pulizzi. I've really been at this marketing game for about 2 years now, but I am obsessed with it. I have not had this much obsession since I first started playing basketball 8 years ago. I hope that this post and the ones after can help those who are just like me and just trying to learn about marketing and it’s craziness. For years I waited to write this blog because I thought I was a noob. Why would anyone want to read or listen to anything that I had to say. So I decided to wait to get more experience before really committing to blogging. However, I was mistaken. You do not have to be an expert to be followed and listened to. Just look at who you talk to when you talk about workouts for your abs. The friend you know who goes to the gym. Where do you go look for food recommendations? Yelp. 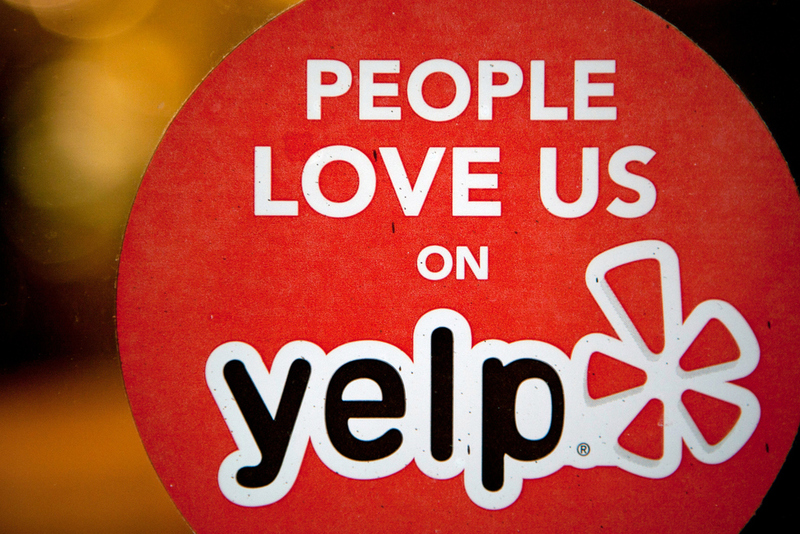 Your friend who happens to go to the gym or the millions of Yelp users are FAR from experts. They are just people who are similar to us trying to achieve a common goal. We give these people our complete attention though when it comes to product reviews online and Yelp ratings. So stop thinking you need to be an expert. As long as you are honestly trying to reach a certain goal you have every right to share information. 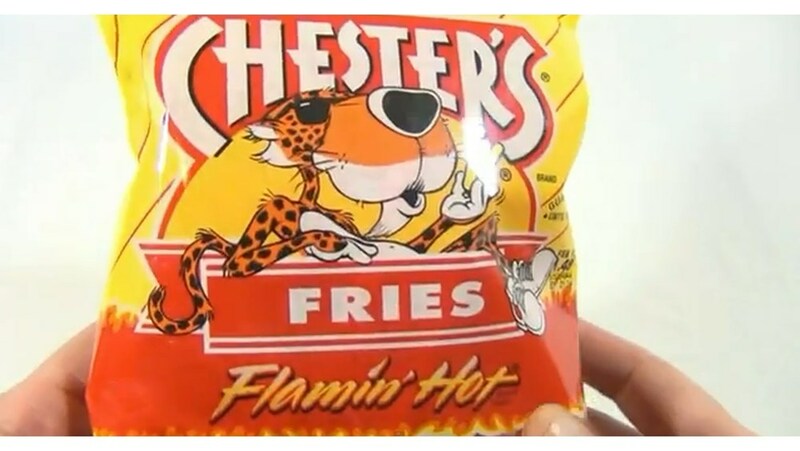 I was at Walgreen about an hour ago and I was walking around the aisles and came across Hot Cheetos Fries. I knew not to do it, I spent months trying to get back into shape, countless games of basketball, and hours of staring at my stomach in the mirror. I looked at the back of the bag knowing how unhealthy the bag of chemicals was for my system. I tried so hard to convince myself to tell myself no. I began reciting all the reasons why it was bad for me, how for my health this was one the worst decisions I could make. After what seemed like an hour long worth of reasons, but really, was probably only about 30 seconds, I made my decision. I bought the bag of Hot Cheetos Fries. Why? Quite simply because I wanted to taste the blend of spiciness and soft potato chip texture of these fake fries. After a whole set of debate and reasoning on the no side, one simple argument on the buy side of the debate won. It tasted good and would give me momentary pleasure. We need to remember the best arguments are not overload with information, reasoning, and logical conclusions. The best arguments are the ones that tap into our emotion and feelings immediately. Buying the chips gave me a sense of momentary pleasure. I kept trying to convince myself with reason and logic to not buy the chips, but i succumbed to my senses. If I had maybe tried convincing myself not to buy by picturing the sadness of looking at the mirror or that inferior feeling of being at the beach, it would have prevented me from the purchase. So remember, lots of research and thought goes into the persuasion of the sale, but at the end of the day we need to realize that simplicity wins the day, not complexity. That is why every essay has one theme, every episode has one moral lesson. What is the simple message of your advertising? Can it be summarized in one emotion or sentence? Or is it a complex aggregation of arguments and logic?